You Craft Me Up! : Giveaway #1! I am SO exited about this giveaway! When I first decided to do this months ago, this is the first idea that came to mind. The post that put my blog on the map (even if it's the smallest dot on that map!) 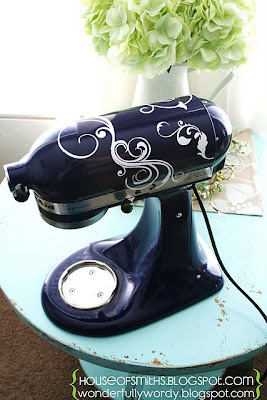 is my Kitchen Aid Makeover post. I still get hundreds of hits on it weekly, and it's been fun to see how everyone is revamping their own machines now! And not to brag or anything, Shelley Smith from House of Smiths saw the post, and came up with her own inspiration! Seriously??? The QUEEN of design got an idea from me??? I was star struck to say the least! Today's giveaway is Kitchen Aid vinyl from the beautiful and talented Shelly @ House of Smiths! You can choose from 3 gorgeous designs! Winner will be randomly selected and announce Wednesday at noon! And I'm sure Shelley wouldn't mind if you followed her either! 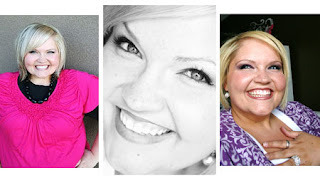 If you have never seen Shelley's blog, it's a must! (although I can't imagine anyone out there who hasn't heard of her!) 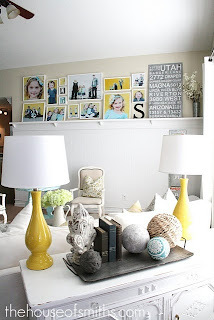 When you go to her blog, check out these amazing projects she has done! Love her new photo wall! Seriously, WHO has a pantry like this???!!! 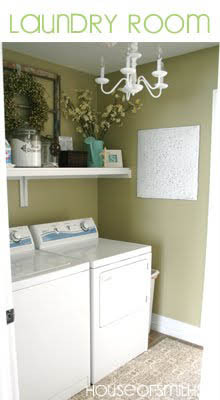 I am so coping this for my laundry room! I am a follower! Love Shelly's blog too! Been a follower for a while. Would love to fancy up my Kitchen Aid mixer. I LOVE all your ideas! You are so sweet and so talented. I'm a follower and this idea is SO cute. I have a plain white kitchen aid and I'd love to dress her up! Yay! I'm so happy to giveaway one of these decals! I have a red one and the subway design would be SO cute on it!!! I love the curly sue! I love this idea! Thanks for giving us the chance to win an adorable decal! Oh my how cute is this!! 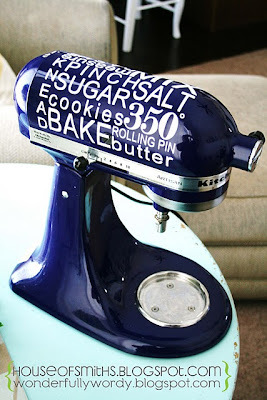 I am probably the only person out there that doesnt have a kitchenaid but I have a wonderful mother-in-law that does and she would LOVE this!! How fun!! I love that subway design. I will be inspired to bake! I am a follower...Hope I win! Thanks for the chance! I'm a follower! I'd love the Curly Sue in bubble gum!! I follow your blog and LOVE the decal. I've been wanting one for months now. I am a follower of both!!! Love this idea! 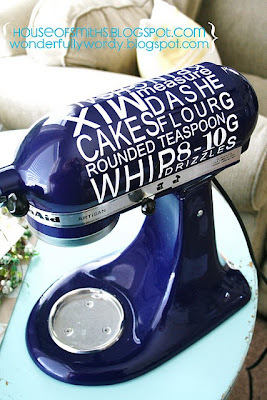 A chance to jazz up my kitchenaid? Don't mind if I do! Love both blogs!!! 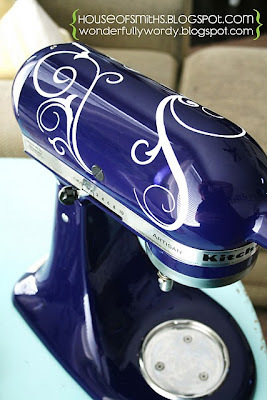 I would love this for my mixer it is so cute! I have a daughter on a strict diet so I am always using my kitchen aide to whip up all her stuff and this would brighten it up for me! I hope I win!! I am a follower and love the House of Smiths. The subway decal is my favorite! What a cute idea!!! I would have a tough time choosing bt the subway and curly sue! I'm a follower of both! I love the subway one! I am a follower of both! Visiting from House of Smiths. Love this idea - pure genius! Been lovin Shelley since day one! :) Love your blog - new follower! I would definitely go for the subway style! I think I like Sophistication the best. I adore anything filigree-ish! I am new to your blog and have been following Shelley for awhile! I am LOVING your blog! Love it! You are amazing Maria! I love her blog! Crossing my fingers! I'm a follower. Love these!! I am a follower!! And I love House Of Smiths, too!! What an incredible idea! Love my white Kitchen Aid mixer, but it could use something to jazz it up a bit. I'm a follower! I love your kitchen aid, super fab! 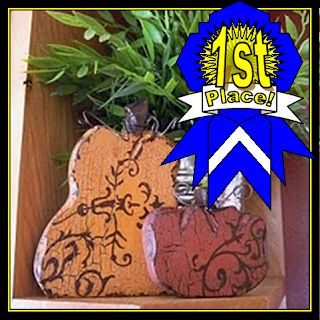 New follower...So excited Shelley sent me here and I can't wait to check out more of your site. I've been oogling over the subway art for the mixer since she first posted it! I'm a follower and I love this!! I'm a follower and I love love your crafts... Such cute ideas. Thanks for all you do. I Love Love this Idea!! My kitchen aid has a big scratch froma resent move I was thinking it needed a paint job.LOL This Idea is such a better fix! I LOVE love love this!! 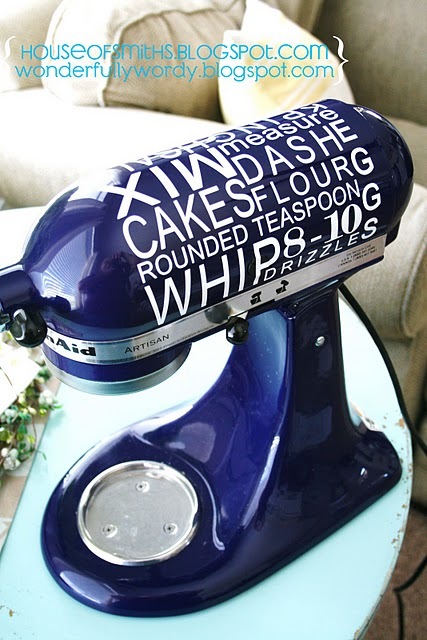 my kitchenaid is screaming for some bling. Great idea! 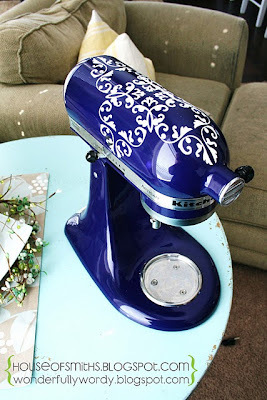 I have been wanting to do this to my kitchenaid since I saw this post! YEAH! Wow look at all your comments!! When you become completely famous remember me okay!! I am a follower all the time of yours and now Shelly's blog!! :) Thanks for inspiring me! Ah, I'm lovin' on both you and Shelley! Cute giveaway! LOVE the subway art version. Super dooper cute! I wasn't adventurous enough to get a bright coloured kitchenaid so some vinyl art would give my baby some oomph! I am now a PROUD follower of your blog after Shelley sent me over! 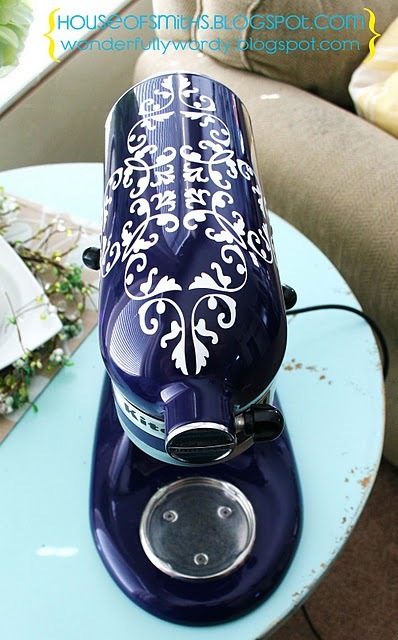 I would love to put the Sophistication design on my Kitchenaid that my husband already owned before we got married, what a catch!!! Love this cute idea! My boring white kitchen aid needs a little help. Crossing my fingers! I am following your blog, as well as Shelley's! I love this idea for the Kitchen Aid! 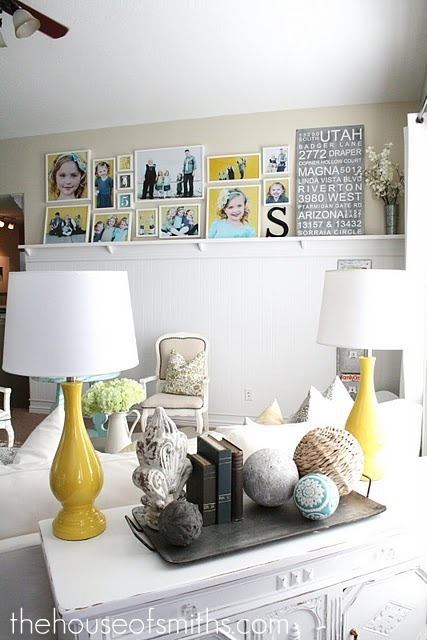 I came across this just last week on Shelley's blog and mentioned how amazing it was!! It would be so fun to win! I just saw this on her site last week! What fun it would be to win! I think Shelly is amazing! LOVE House of Smiths! I am a follower and think this is an adorable idea! I am a follower & love your talent! Thanks for sharing & happy birthday. I am a follower and I loved your KitchenAid makeover. I have been saving that idea to use on my new KitchenAid mixer that I intend to invest in soon. Thanks for the giveaway!!! What a clever and cool idea! I'd have a hard time picking if I won one of these...the subway is so cool. Anyway, thanks for the fun chance! Good luck to us all. Been wanting to decorate my Kitchen Aid ever since I saw your post. This may just be my chance to finally do it! I am a follower, neat giveaway! Love it! :) I am a follower!! I am a follower and I love Shelly so I would love to win some of her vinyl. Thank you. I'm a new follower on your blog and I am loving it! So glad this came to my attention. A match made in kitchen Heaven. I'm a follower. I like the curly sue too! Love it!! How fun to add bling to the mixer!! I'm definitely a follower and I'd love to have the mixer in black or lime tree green! I want a chance to win Would make baking so much fun! wow! Thanks for the opportunity. I think I'm going to like this blog spot. I agree, Curly Sue is my favorite too.